The Holy Prophet (PBUH) Mohammad’s life is a great example. Even though Hazrat Khadijah was earning and had a great business, the Holy Prophet (PBUH) took it upon himself to support her. Her wealth was not for his to keep but his wealth was certainly hers. 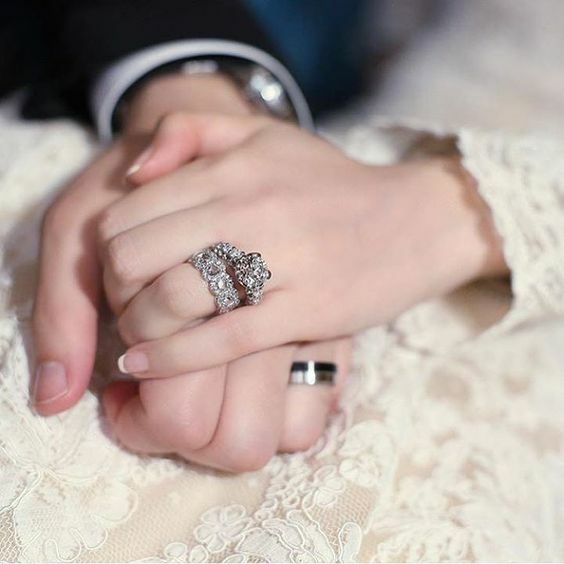 In terms of earnings and wealth distribution in Islam for Muslim marriages, the Muslim man has to share his wealth and earnings with his family but it is not incumbent upon the Muslim wife to do so. That she does it out of her own happiness is something commendable and earns Allah’s blessings and happiness towards her but she has not been instructed by Allah to do so. The wealth that she has received from her father or forefathers remain hers and her husband has no right over it. However, the wealth of the Muslim husband should be shared between his family as he will be supporting the family as instructed by Allah. Hence we reach the conclusion that the Muslim wife’s wealth is her wealth and her husband’s wealth is her wealth too. Wealth of the Muslim husband and Muslim wife should never be a talking point between both as very specific instructions have been given by Allah on how it should be disbursed. Husbands and wives should accept Allah’s decree and live in harmony with this knowledge. Many times money and wealth becomes a point of ego, fights and arguments between spouses but we must realize that if we follow the word of Allah all will be well. May Allah help us have fair means of wealth leading us to the path of Jannah. Ameen.